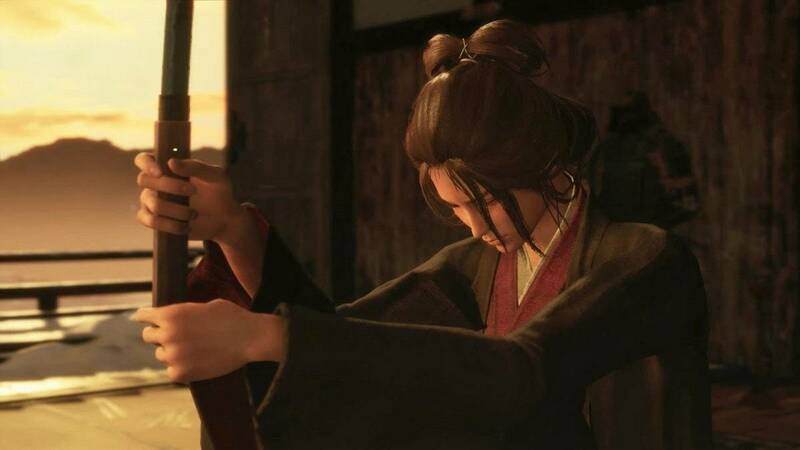 Sekiro Ashina Outskirts Walkthrough Guide will help you through the Ashina Outskirts and defeating the Gyoubu Masataka Oniwa so that you can progress through the game. 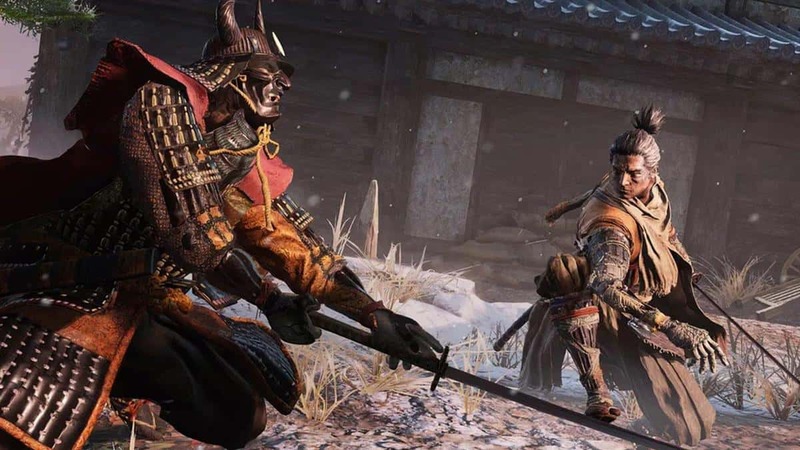 It is in Ashina Outskirts where you will find your Shinobi Prosthetic, learn to use the Grappling Hook, defeat a couple of mini-bosses, and finally the Gyoubu Masataka Oniwa boss. A cutscene will play after your run-in with Lord Genichiro Ashina. You will find yourself in The Dilapidated Temple which is sort of a hub area where you can interact with various NPCs including the Sculptor and other NPCs. Initially, you will only find a limited number of NPCs in the Dilapidated Temple. However, as you progress you will find more NPCs. This is the place where you will unlock new skills, practice combat, learn upgrades, and more. 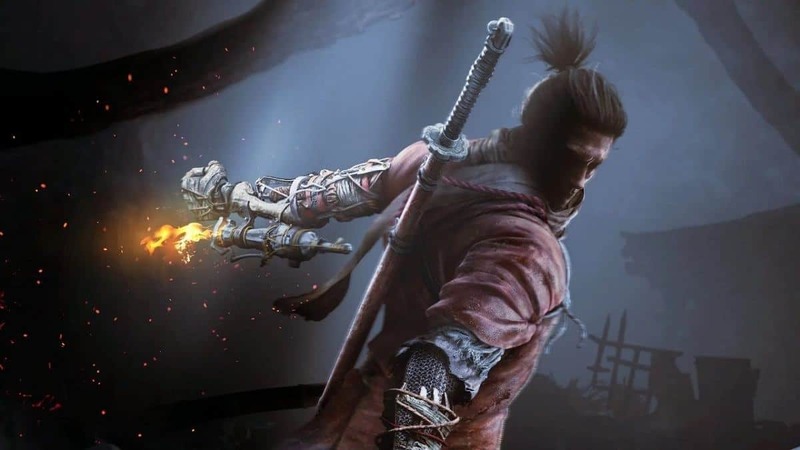 After receiving your Shinobi Prosthetic Arm, exit through the gate to start the Grappling Hook tutorial. 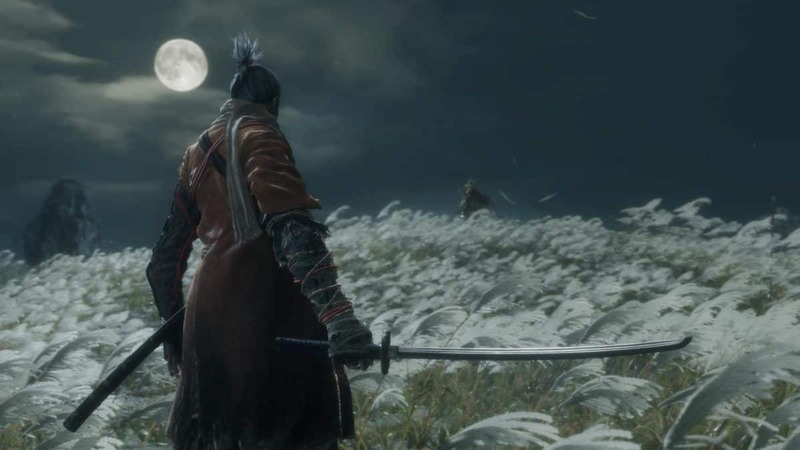 The path ahead takes you to the Ashina Outskirts. Use the Grappling Hook and interact with the Sculptor’s Idol to unlock the Sculptor’s Idol Travel. 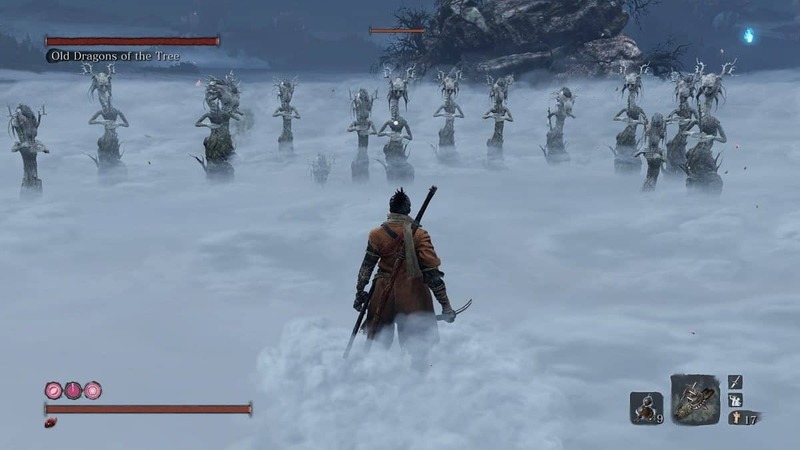 Sculptor’s Idols basically serve as fast travel points during the course Sekiro Shadows Die Twice. From the Sculptor’s Idol, you will have two paths. Take any of the two and you will get to the Outskirts Wall – Gate Path Idol. There will be a building nearby with a hole in it. Grapple inside and you will find the “Shuriken Wheel” which is an upgrade for your Prosthetic Arm. You can return to the Sculptor using the Sculptor’s Idol to equip the upgrade. Do note that like Dark Souls and Bloodborne, resting at a Sculptor’s Idol will cause all enemies in the area (except bosses, mini-bosses, and some NPC enemies) to respawn. Make your way ahead and you will face General Naomori Kawarada. This enemy is basically a tutorial for grabs and sweep attacks. Avoid its attacks and defeat him to progress. After you have defeated General Naomori Kawarada, make your way ahead and you will come across an open area. Go to the left path and you will meet Inosuke’s Mother on the first floor of the building. Talk to her and she will give you the Young Lord’s Bell Charm. You can bring it back to the altar next to the Sculptor at the Dilapidated Temple and unlock the Hirata Estate. For now, keep following the path ahead from Inosuke’s Mother and you will see some enemies being shot at with a wall canon. Go there and take care of the enemies including the one firing the canon. Outskirts Wall: Stairway Idol will be located to the right. Close to the Stairway Idol, you will have another opportunity to eavesdrop. Kill the enemies after eavesdropping and go up the stairs to find the one the soldiers were talking about. The Chained Ogre is a mini-boss that you have to defeat. Try to get as many hits as possible while he is chained because he will break free after a while. If you can stagger him, you can get extra hits on him. However, be very mindful of its attacks and avoid its deadly grab and the kick slam. Defeat the Chained Ogre and drop to the other side where you will face General Tenzen Yamauchi. Deal with him but do note that he will not be alone so it will not be an easy fight. However, to make things easier, kill the smaller enemies and run away from General Tenzen Yamauchi until he loses sight of you. Now sneak up to him and do a Stealth Deathblow. After that, dodge and attack until he is defeated. Once General Tenzen Yamauchi has been dealt with, you will find a broken bridge at the end of this area. Drop down from the bridge and a Gecko will attack you. Kill it and then drop further down to interact with the Underbridge Valley Idol. From there, keep dropping down and use the Grappling Hook to get across the valley. As you progress, the Wolf will fell tremors as the Great Serpent is passing by. However, you cannot just take it head-on. Instead, you need to be stealthy. Hide in the tall grass or use the Grappling Hook. When the time is right, you will need to jump across twice to get inside the cave. As you move ahead, the Serpent will be there too. You need to use the walls to hide from the Serpent and then move to the grass. When the Serpent pulls its head back, go to the left to the wall and shimmy across to the Palanquin. Hide inside the palanquin and wait for the Serpent to get close. When the Serpent gets close, stab its eye and use this opportunity to run past it to the left until you get to the cave. Grapple Hook across to the main Castle Grounds and you will reach the Stable Ground and to the right is the Ashina Castle Gate Fortress Idol. Interact with it to unlock the fast travel point. Keep going ahead onto the main path while eavesdropping and killing enemies. Eventually, you will come across a locked door. Make your way to the rear part of the area, drop down, and prepare for a boss fight. As you drop down, Gyoubu Masataka Oniwa will come through a nearby door. This boss is quite aggressive and does not require as much patience and strategy as other bosses in the game. 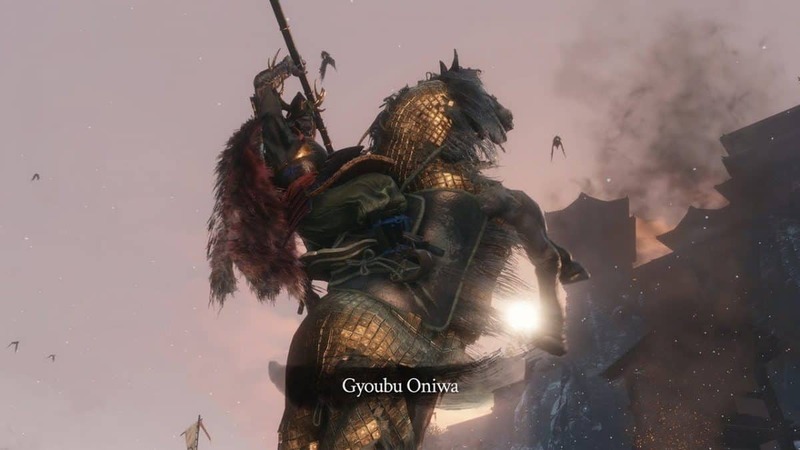 Stay close to Gyoubu Masataka Oniwa as much as possible, deflect its attacks, and keep doing it until he is down. When he starts to gallop away, use the Grappling Hook to thrust yourself towards him and attack. Defeat this boss and you will be granted his “Memory”. Go to the nearby gate and interact with the Ashina Castle Gate Sculptor’s Idol. The Enhancing Attack Power Tutorial will begin here. Complete it and you can go to either Ashina Castle or Hirata Estate. 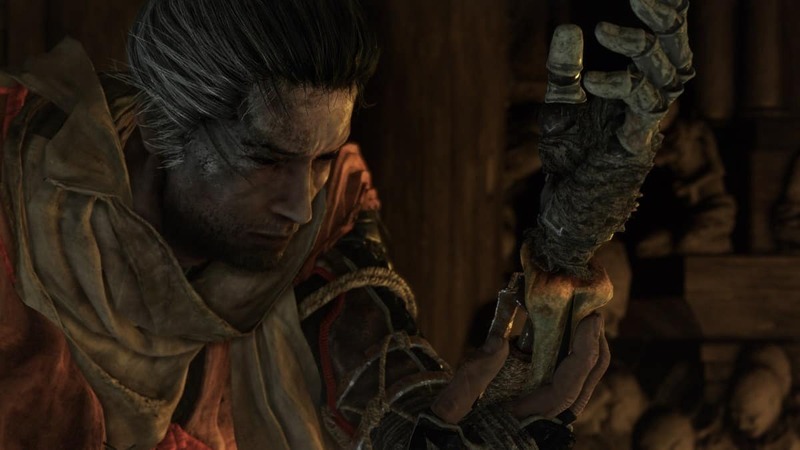 That is all for our Shadows Die Twice Ashina Outskirts Walkthrough Guide with tips on how to unlock the Hirata Estate and defeating the Gyoubu Masataka Oniwa. If there is anything else that you would like to add, be sure to let us know!